I have simply been lusting after Marc by Marc Jacob mouse flats for years! Marc Jacobs must be doing something right considering that they have been reissued season after season in an array of colours and styles. You have your studded ones, glitter, pony hair, and sling backs. So many options to chose from but my absolute FAVORITE would have to be the studded ones. I love the added edge factor and it reduces the cartoon-ish factor. It’s a chic way to wear animals on your feet! 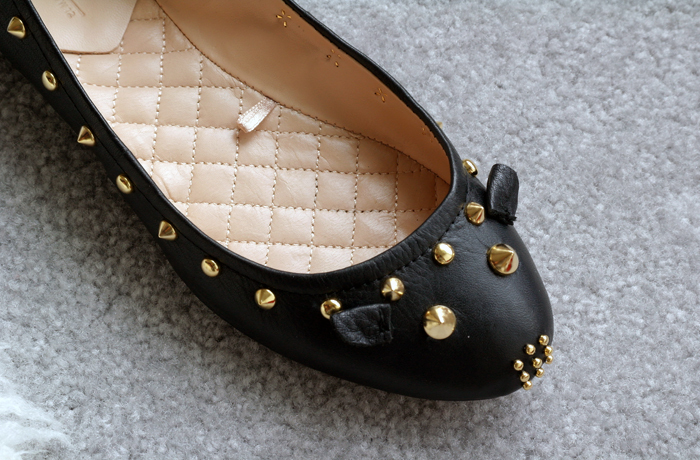 Mark your flats with white chalk to create a guide for your studs, use a picture of the Marc Jacob flats as reference. 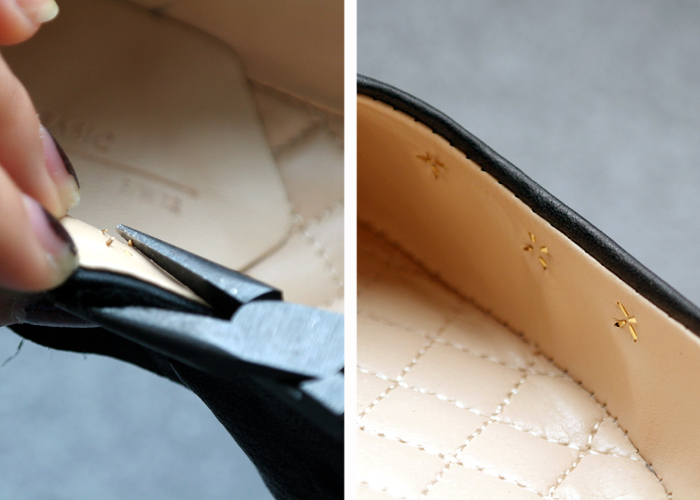 Place your studs through the flats, you may need help with poking holes with an exact-o knife. 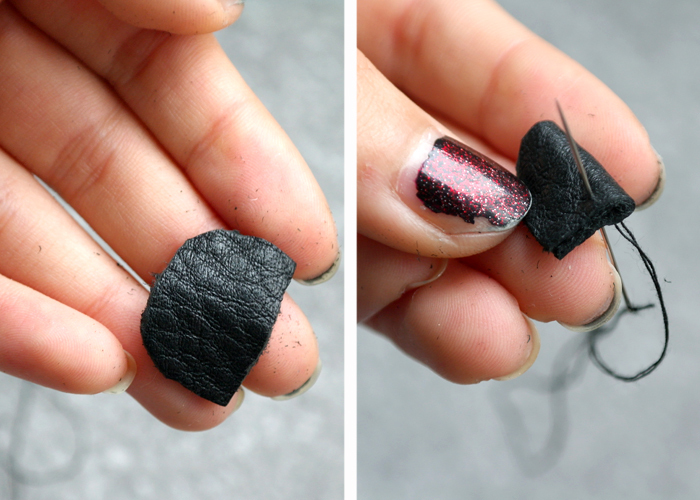 I used a stud and where ever it left indents, I made small incisions so the prongs could go through the leather. Alternate a round stud with a conical stud as you go around. Take your pliers and bend the prongs into the material. You want to make sure the prongs are pressed in all the way to prevent irritation to your feet. If you’re still concerned with the prongs scratching your foot, you can add a layer of gross grain ribbon on the inside with some glue. Cut out a pair of ears of each shoe and sew the ears in place, gluing them is also an option, but I find that sewing is more stable. 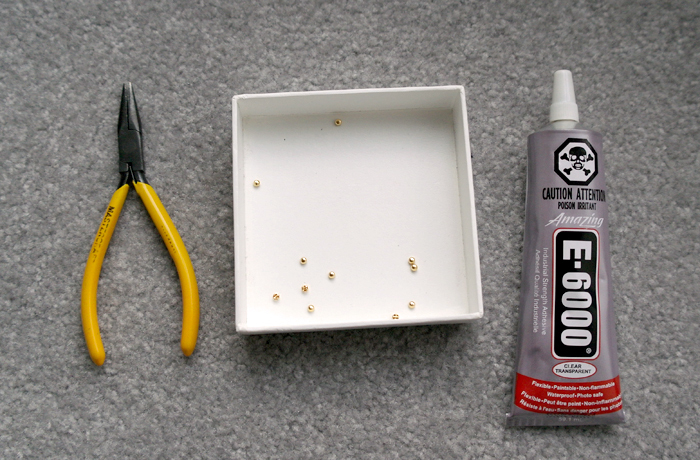 Take your tiny 3mm studs and bend the prongs until you have a flat surface. 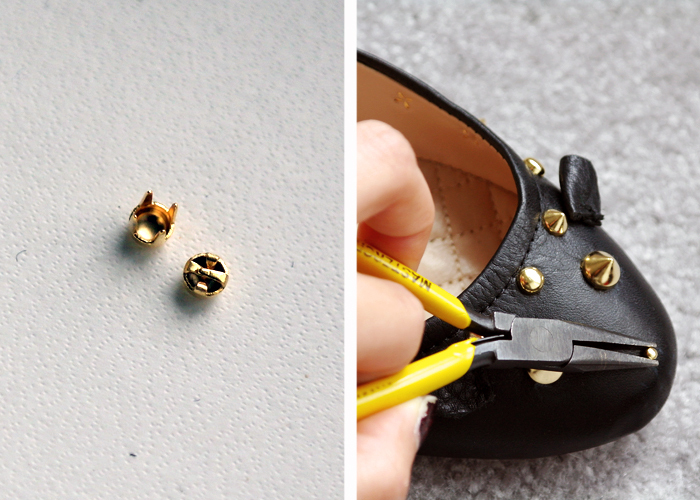 Take your E6000 adhesive and carefully glue your tiny studs to the front of your flats. This will be the nose. Let the adhesive cure for 24hrs. Wear them out and just wait for the compliments to fly at you! Thanks! Its super easy, you can get it done over a weekend. Tweet me a pic! my god!! !thank u for this post! Wow you did a great job dear! I'm following, your diy's are gorgeous! This looks stunning!!! You really did an amazing job!!! Oh these shoes are so cute =))) In love. Love your blog and these are amazing! How long did they take!? this is by far the most innovative diy that ive ever come to see. That is incredible, that first picture took me a few moments of adjusting before I realized it wasn't a MJ mouse flat! LOL go you! I'm very impressed. It looks like the expensive version from the store! Thanks!!! I'm really happy with how they turned out! This is the most amazing DIY project I have ever seen! What an amazing pair of shoes. Too cute.